Life Insurance is not complicated or expensive when you work with one of our licensed sales representatives. Let's explore options to protect your loved ones. Life insurance pays out a sum of money either on the death of the insured person or after a set period of time. Term life insurance or term assurance is life insurance which provides coverage at a fixed rate of payments for a limited period of time, the relevant term. After that period expires, coverage at the previous rate of premiums is no longer guaranteed and the client must either forgo coverage or potentially obtain further coverage with different payments or conditions. If the life insured dies during the term, the death benefit will be paid to the beneficiary. Term insurance is the least expensive way to purchase a substantial death benefit on a coverage amount per premium dollar basis over a specific period of time. Whole life insurance, or whole of life assurance, is a life insurance policy that remains in force for the insured's whole life and requires (in most cases) premiums to be paid every year into the policy. A type of permanent life insurance. Under the terms of the policy, the excess of premium payments above the current cost of insurance is credited to the cash value of the policy. The cash value is credited each month with interest, and the policy is debited each month by a cost of insurance (COI) charge, as well as any other policy charges and fees which are drawn from the cash value, even if no premium payment is made that month. Interest credited to the account is determined by the insurer, but has a contractual minimum rate of 2%. When an earnings rate is pegged to a financial index such as a stock, bond or other interest rate index, the policy is a "Equity Indexed Universal Life" contract. 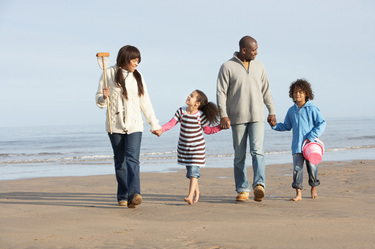 Variable Universal Life Insurance is a type of life insurance that builds a cash value. In a VUL, the cash value can be invested in a wide variety of separate accounts, similar to mutual funds, and the choice of which of the available separate accounts to use is entirely up to the contract owner. The 'variable' component in the name refers to this ability to invest in separate accounts whose values vary—they vary because they are invested in stock and/or bond markets. The 'universal' component in the name refers to the flexibility the owner has in making premium payments. The premiums can vary from nothing in a given month up to maximums defined by the Internal Revenue Code for life insurance. Contact us to learn more about the right life insurance for you.